Here in Galapagos and in many places in South America there are beliefs associated with the aroma that comes from these branches as well. Some think that Palo Santo incense can be used to eliminate bad karma and energy in a dwelling. There is an old Spanish saying that, loosely translated, says "Palo Santo to clean your house of bad energy. Palo Santo for good luck." Given that the wood and resin do have anti-bacterial properties, there may be some basis for the tree's cleansing power. Because of their fragrance and use outside of Galapagos, you may find Palo Santo branches for sale in local Ecuadorian marketplaces. Native Ecuadorians buy them for cleansing their homes, somewhat like those in the U.S. may buy cedar chips. The smell too is associated with a feeling of calm and serenity. There is a more modern use for the oil that is derived from the Palo Santo tree as well. I've learned that its oil is used in some cosmetics. Now the oil can be purchased online and is used for aroma therapy, relaxation, cleansing and even as an anti-bacterial. I also read some interesting information on the Medicine Hunter blog, in which he reports that in a Cuban study the properties of the Palo Santo's resin were found to have healing properties and inhibit growth of certain types of breast cancer. Whatever the Palo Santo tree's healing properties, one thing is sure. 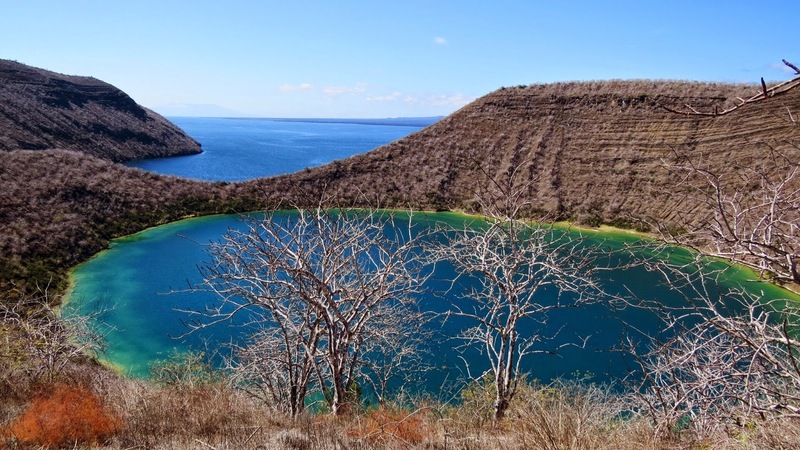 During your visit to Galapagos, you are likely to see the Palo Santo on Isabela, Floreana, North Seymour and Bartolome Islands. 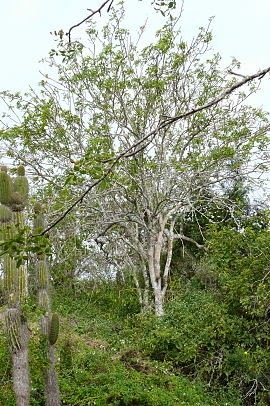 The endemic Palo Santo trees will be in the Galapagos Islands, untouched and protected when you come for a visit. No matter what's going on in the rest of the world, our National Park Service will assure this.